An ole’ English Heirloom variety, Little Gem is as tasty as it is diminutive. 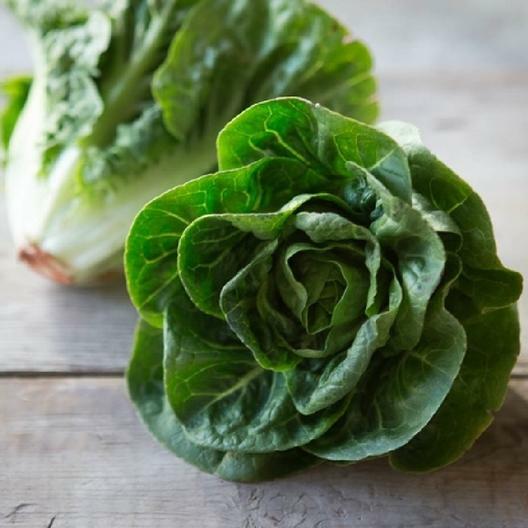 An excellent salad lettuce, Little Gem tends to have a pleasantly distinctive nutty flavor. All in all, an excellent lettuce worth a try. Note: lettuce dorks have argued for decades as to whether Little Gem should be considered a Butterhead or Romaine variety. As for us, we’ve declared neutrality in this lettuce war, and have decided to let the customers decide for themselves!